Balance Sports Nutrition has a long history in the sports nutrition industry in both Australia and New Zealand. Balance Sports Nutrition is dedicated to developing high quality sports supplements for athletes or any person who demands excellence in training. 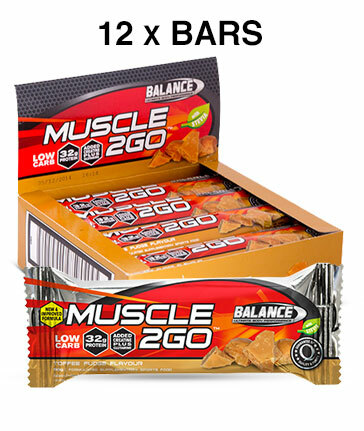 Balance has developed a huge following in their protein bar range with Balance Ultra Ripped Protein Bar, Balance Massive Protein Bar and Balance Muscle 2Go Protein Bars. Always listening to their customers needs the Balance Protein Bar range covers all goals from lean muscle growth or mass gains to getting ripped.